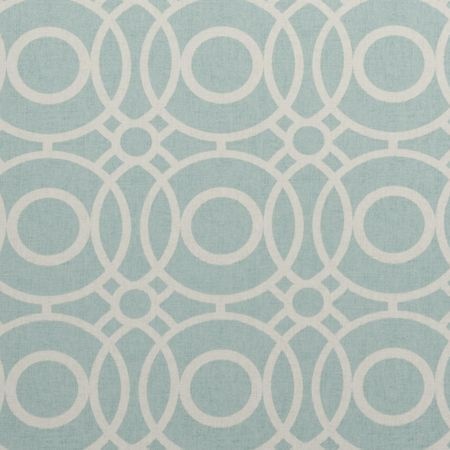 A striking retro design with a modern twist of overlapping white circles and ovals on an aqua coloured background. PVC coated cotton. Glossy finish.